The concluding decades of the Nineteenth century marked a series of major developments for the growing political voice of English women. Events such as the female-led Campaign Against the Contagious Diseases Acts and the establishment of the National Union of Women’s Suffrage in 1897 provided ample evidence to suggest the emergence of a new approach to womanhood, challenging the supposedly cast-iron gender roles promoted by the Victorian patriarchal psyche. Simultaneously, within the art world, women were beginning to have a corrosive effect on the predominantly masculine Royal Academy. Lady Elizabeth Butler’s painting Role Call, for example, met with critical acclaim when it graced the annual Summer Exhibition, while in 1871, the opening of the Slade School of Fine Art recognized female potential by allowing men and women to study art together for the first time. Despite this development of female influence within society, the women portrayed in Victorian paintings were not reflections of these emergent active and independent figures. Instead, paintings of women continued to portray their roles as ‘domestic angels’, supporting wives and nurturing mothers, an attitude succinctly illustrated in George Elgar Hick’s painting of a dutiful wife entitled Woman’s Mission. 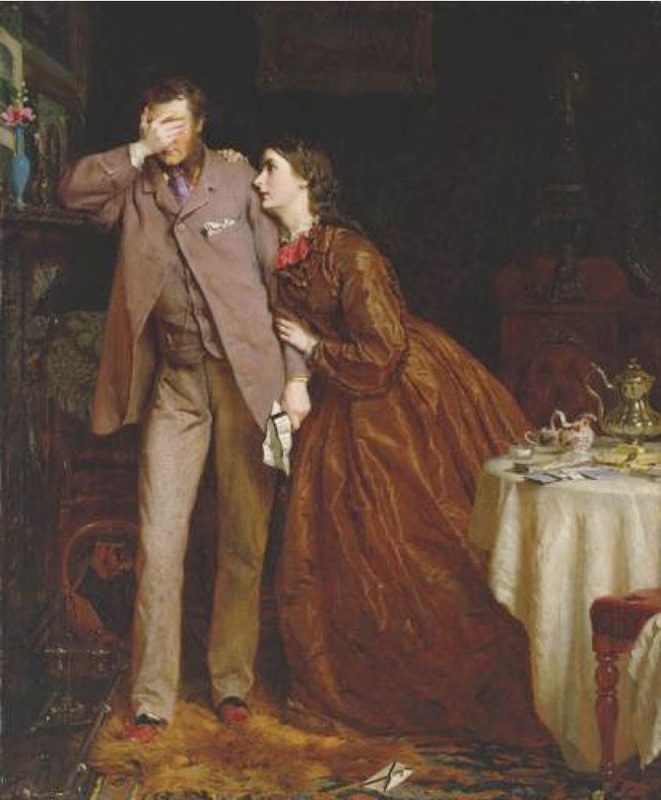 The Victorian age was made up of numerous contrasts and oppositions, and so the chasm between the submissive female characters depicted in Victorian painting and those of real life was hardly an isolated contradiction. However, the inconsistency between reality and representation failed to take into account a group of women who may arguably be considered the most influential within this established conflict. Located between the two opposing female identities, the figure of the art model was one that held a substantial amount of power within the Victorian art world. The artist’s models, whose bodies provided the paradigm for representations of the female form, were simultaneously exalted and condemned by society. Models were affiliated with the working women of the laboring classes, and yet their faces graced the walls of the most prestigious art galleries in Britain. Representations of women thought to ‘excessively’ resemble the original model faced critical derision. William Etty, for example, was ridiculed for the overtly sensual women that populated his momentous compositions, while Alma Tadema’s A Sculptor’s Model caused controversy by blatantly portraying the muse without disguise or chaste identity. However, undeterred by the continuous need to be concealed on canvas, the model retained a dramatic impact on the work of the observing artist. This controversial influence was visibly demonstrated in the work of Dante Gabriel Rossetti and his relationships with his wife Elizabeth Siddal and his mistress Fanny Cornforth. The difference between representations of his original muse, the professional and respectable Siddal, and the ‘other’ woman, the fiery Cornforth, illustrates the significant influence that each of these women exerted over his creative energies. Rossetti first met Elizabeth Siddal shortly after she was spotted by a fellow Pre-Raphaelite artist while working as a milliner in 1849. Visually Siddal’s narrow frame and austere beauty inspired the group of young artists who, over the following years, painted her in numerous contexts. 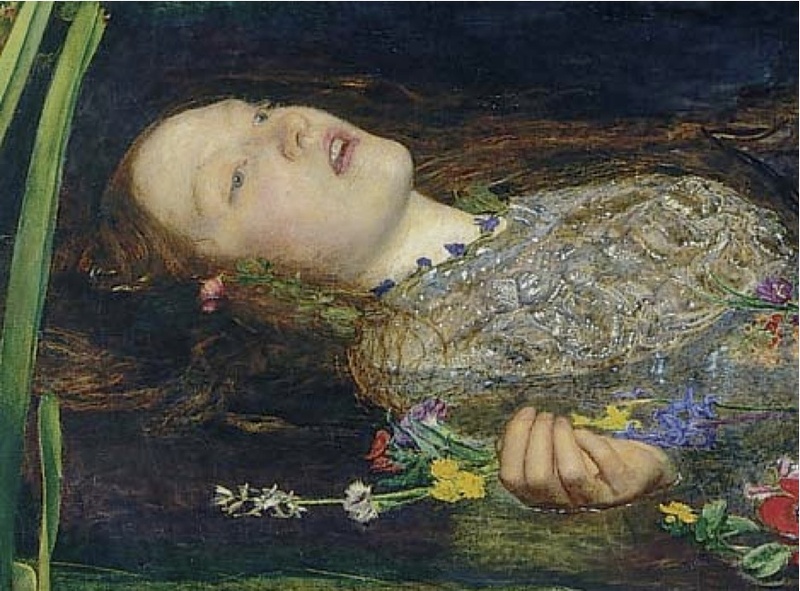 In 1852, Millais utilized Siddal’s pale skin and delicate features to portray Shakespeare’s Ophelia, while Rossetti cast Siddal in the roles of similarly vacant characters, such as the solemn heroines of his Arthurian paintings. In his 1857 watercolor entitled The Tune of Seven Towers, Rossetti captured a sedate and melancholy Queen, using the temperament of the model from which her royal likeness was borrowed. Siddal, demure and detached, inspired the majority of Rossetti’s early paintings of women, all of which appear to represent amalgamations of her earnest character and attitude. Elizabeth Siddal was a recognized artist and poet in her own right. Her independent creative ability set her apart from other models as, ever the epitome of respectability; she consistently refused to model unclothed and became increasingly involved in the composition of her employers’ work. Soon after meeting, Rossetti and Siddal became engaged and, although the tempestuous engagement was hampered by Siddal’s illness and Rossetti’s uncertainty, the couple married in 1860. By this point, the model was severely unwell and delivered a stillborn child only a year after their marriage. As a result, Siddal suffered from severe depression and drug addiction, becoming increasingly withdrawn. Her illness finally came to a head in 1862, when she took a fatal dose of laudanum and died. Rossetti’s emotions at the loss of his wife and muse were certainly potently expressed in paint; however, the last years of the Siddals’ conjugal life represented a transition within the work of the artist. As Siddal withdrew from public life, Rossetti’s attention was caught by the face of another woman, that of his mistress Fanny Cornforth. Her appearance in the imagery produced by Rossetti during this period represented a shift in his affections away from his troubled wife and towards the controversial figure of this new model. Bocca Baciata and The Blue Bower, completed in 1859 and 1865 respectively, both portray the torso of an extremely sensual woman, leaning out of the picture into the space of the observer. Her exposed neck and flowing hair signified a powerful sexuality absent in all of Rossetti’s images of Elizabeth Siddal. It would seem that the young girl, employed by the artist as housekeeper and swiftly entering the role of his mistress, had revolutionized his painterly technique and style. The contrast between the solemn portraits of Siddal and the richly colored and sensual studies of Cornforth correlated exactly with their different characters. Cornforth, uneducated and born into a rural laboring family, was linked to prostitution. Her striking features and raw sexuality distracted Rossetti from the literary contexts and moralizing narratives of his former work and drew him towards the concept of producing art for art’s sake, a sentiment adopted by the aesthetic movement of the late Nineteenth century. 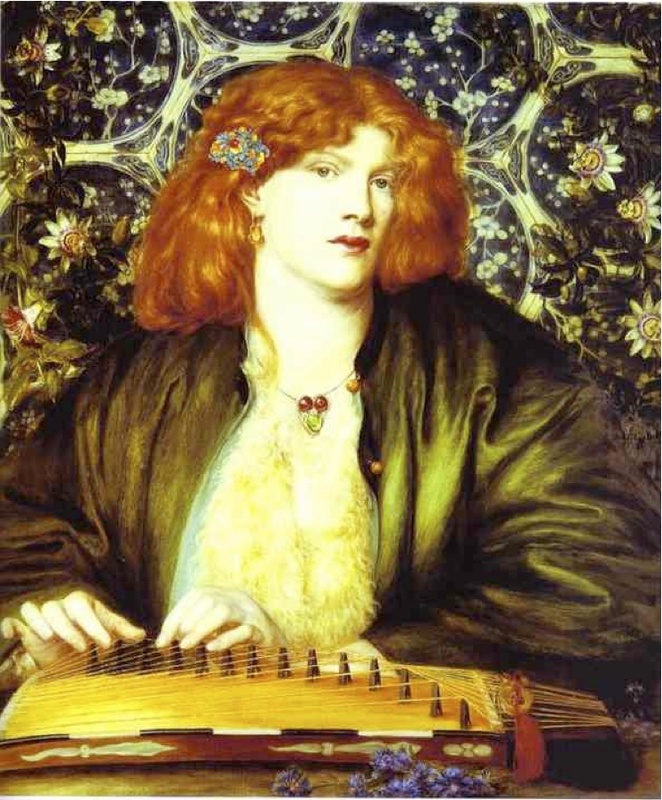 The influence of Fanny Cornforth and Elizabeth Siddal can be visually traced throughout the work of Rossetti. Their intimate relationships with the artist no doubt played an important part in this impact; however their power was not unique. The models, observed by artists throughout the Victorian period, tangibly molded the work of their respective painters. Consequentially, while the situations in which women were painted during the Victorian period did not directly mirror the ascending independence of women in society, they certainly betrayed evidence of significant female involvement. Seen in this light, even Hick’s dutiful wife is a product of feminine intervention – an anonymous character modeled by a woman who exuded artistic influence.